Abstract: Machine learning is a method of data analysis that automates the building of analytical models. By using algorithms that iteratively learn from data, computers are able to find hidden insights without the help of explicit programming. These insights bring tremendous benefits into many different domains. For business users, in particular, these insights help organizations improve customer experience, become more competitive, and respond much faster to opportunities or threats. The availability of very powerful in-memory computing platforms, such as Apache Ignite, means that more organizations can benefit from machine learning today. In this presentation we will look at some of the main components of Apache Ignite, such as the Compute Grid, Data Grid and the Machine Learning Grid. Through examples, attendees will learn how Apache Ignite can be used for data analysis. 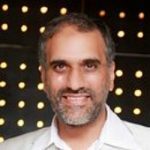 Bio: Akmal Chaudhri is a Technology Evangelist at GridGain. His role is to help build the global Apache Ignite community and raise awareness through presentations and technical writing. He has over 25 years experience in IT and has previously held roles as a developer, consultant, product strategist and technical trainer. He has worked for several blue-chip companies such as Reuters and IBM, and also the Big Data startups Hortonworks (Hadoop) and DataStax (Cassandra NoSQL Database). He has regularly presented at many international conferences and served on the program committees for a number of major conferences and workshops. He has published and presented widely and edited or co-edited 10 books. He holds a BSc (1st Class Hons.) in Computing and Information Systems, MSc in Business Systems Analysis and Design and a PhD in Computer Science. He is a Member of the British Computer Society (MBCS) and a Chartered IT Professional (CITP).